Analogy is thus the surest guide to the comprehension of the Occult teachings. . . .
To believe without knowing is weakness; to believe, because one knows, is power. Or, in other words, to see that “KNOWLEDGE IS POWER.” — “Contemplation”, Theosophist, 1884. Consider the first stages of the development of a germ-cell. Its nucleus grows, changes, and forms a double cone or spindle, thus, within the cell. This spindle approaches the surface of the cell, and one half of it is extruded in the form of what are called the “polar cells.” These polar cells now die, and the embryo develops from the growth and segmentation of the remaining part of the nucleus which is nourished by the substance of the cell. Then why could not beings have lived thus, and been created in this way — at the very beginning of human and mammalian evolution? From M.K.S.—Is the Swedenborgian definition of the verb “correspond” that of the Head of the Section? Ans.—H.P.B. may not agree in all things with Swedenborg, but the definition of correspondence adopted by her is that used by the generality of people and to a great extent by Swedenborg. Correspondence is similar to analogy and symbology. The triangle considered as a mere figure on paper corresponds to the trinity of say, body, soul and spirit; the death of a human being corresponds to a pralaya or death of a world, and so on ad infinitum. The importance of understanding the theory of correspondences cannot be overestimated. Students of the Instructions ought to endeavor to get light upon this subject, for the whole theosophical and occult systems are built upon the law of correspondences, which is that of analogy, and is the logical sequence of the doctrine of unity of nature. This world is part of a definite system having the sun as center. The evolutionary stream proceeds upon one definite plan for each manvantara. In order to carry this out all evolved objects and things must evolve upon one plan. All the forces must work from one center out to the various smaller centers, and in this the law of correspondence is seen. The sun being the center, it must have a correspondence in every concrete form or system found within the whole collection of objects in the sun’s sphere of action. The sun must be the center of life then for the solar system, and so its currents and forces are said to correspond to the heart in man which is his center of physical life and force. The circulation of the blood through the human body must correspond to something higher in the solar system. This is found in the cosmic blood which circulates through space and is of course nothing like our blood in appearance. This “cosmic blood” is the life-giving ether spreading in space. It enters the body of man and there vitalizes his blood by means of his breathing. The sun focalizes for his system the whole plan and force of such evolution in order to carry that plan and force into operation through appropriate channels in all the planets which he governs. By reading Instruction No. I, a good idea may be gained of the proper use of the Law of correspondences. [see BCW XII:520-4.] By studying those pages with care, with the object of discerning and remembering the method pursued in making the analogies drawn there, the student will perceive for himself how it is done. Taking up as an illustration we read that there are ten openings in the human body through all of which cosmic influences come in. We see a correspondence in the fact, as stated, that the sun has within him the forces for this system proceeding from the ten Divinities, seven of which are shot out in his rays and three remaining in his seventh principle. All of the foregoing is by way of illustration and example. But even this will lead to a better understanding of some obscure things in the Instructions and The Secret Doctrine. In those the number ten is called “perfect”, yet seven is the number used as to our inner constitution, while there are ten openings for the entry of cosmic forces. The three Divinities left in the sun represent the unknown and unknowable quantity. In mathematics we have the same in the ratio between the diameter and the circumference of the circle. This ratio is called commonly three, as: if the diameter is three feet the circumference will be nine. But it is really more, and so the strict mathematical statement is that the difference is the decimal number 3.1415 and so on with an endless series of figures, it being admitted that the end cannot be found. Hence here is the same unknown quantity encountered in the difference between the seven and the ten. It being unknown and evidendy pertaining to the absolute or to states much higher than ours, we can see a reason why H.P.B. cannot, if she would, make it clear. Behold how like the moon reflected in the tranquil waves, Alaya is reflected by the small and by the great, is mirrored in the tiniest atoms, yet fails to reach the heart of all.—The Voice of tile Silence. The Law of Analogy, or as it is sometimes called the Law of Correspondence, is the fundamental idea in the Esoteric Philosophy, and its right application is the key-note to all Esoteric study. It is by means of this law that we can proceed from the known to the unknown, and thus widen the circle of our knowledge. The same changeless laws of evolution and involution are at work in an atom, a man, a world, a universe; and if we rightly understood the meaning of one moment of our lives, we should understand the whole. Thus the saying of Emerson, “There is no great and no small in the Soul that maketh all,” may be applied both to time and space. As applied to time it suggests that all cycles—Manvantaras, Kalpas, Rounds, Races, Lives—are formed essentially on the same plan. There is a period of irresponsible innocence, a fall into matter, and a conscious rise towards spiritual things. As applied to space it tells us that atoms, men, globes, are in their inward nature essentially the same; they have their seven Principles, they have their Brahm, Vishnu and Shiva, they have each a world of entities over which they preside. Here is indeed a clue to the meaning of Universal Brotherhood, but something more than brain intellect is needed to comprehend it, and that is why it remains for so many of us unrealized and beyond our reach. Alas, alas, that all men should possess Alaya, be one with the great Soul, and that possessing it Alaya should so little avail them! Outside the limits of our space and time. A thing of beaut y is a joy for ever. And so one might go on indefinitely did time and space permit, for the mission of the poet is to point out to those who see it less clearly than himself, the spiritual meaning of temporal things, the ideal which underlies what most people call the real. The poets are the interpreters of human nature and of life, so also are the best novelists from another point of view. For some minds a study of the best poets and novelists, and also of writers such as Emerson, Ruskin, Olive Schreiner. James Hinton, who perceive truth intuitionally, is very helpful to the study of Theosophy. Others have little faculty for learning in this way, and they strive to reach the truths of Theosophy by the road of Natural Science. Every student has his own method of working, and it would be invidious to make comparisons, but it must not be forgotten that whatever method is taken. the key to progress is the Law of Analogy. From what is seen, we must continually infer what is unseen; this can only be done by patient thought and meditation; the real inner meaning of any fact or of any proverb is never gathered without concentrating the mind on it for a considerable time. May be applied to the evolution of our tiny earth, to that of the chain of planets of which our earth forms one, to the solar universe which that chain belongs, and so on in an ascending scale till the brain reels and is exhausted in the effort. It follows of course by the Law of Analogy that the same formula may be applied in a descending scale as well as in an ascending scale. Man, the Microcosm, follows in his evolution the same laws as the Universe, the Macrocosm, and again the entities which compose the nature of man are subject to the same laws. “As above, so below” as the Hermetic axiom says. Now Brahma has under his sway a number of human Egos which reincarnate over and over again throughout the Manvantara, until the time comes for them one by one to cease reincarnating and aid in rescuing their brothers from what the Bhagavad Gita calls “this ocean of reincarnation and death.” The Egos who lead the way, say in the words of Christ: “And I when I am lifted up from the earth will draw all men unto me.” Now to apply the Law of Analogy to the case in hand , put the human Ego for Brahma, a man;s life for the Manvantara, the entities which compose the nature of man for the Egos, and see what you will get. Again since the seven Principles of man correspond to the seven Globes of our Planetary Chain, and since only one of these principles is on the material plane, it follows that only one of the Globes (our Earth), is on the material plane. Thus Mars and Mercury cannot, as has sometimes been supposed, belong to our Planetary Chain, because they are on the same plane as our Earth and visible to us. And since every “body” has six other principles, the bodies Mars and Mercury have each six other principles, that is to say, each of them belongs to a Planetary Chain of seven Globes, and each of them is the only one visible to us of their respective chains. The Proem to The Secret Doctrine is full of the Law of Analogy or of suggestions as to how it may be applied. Take the second of the three “fundamental propositions” given in the Proem—the universality of the Law of Ebb and Flow. It is there shown that reincarnation is only one instance of this law, which is universal in nature, that progress is always by Flux and Reflux, the wave rising each time to a higher point, so that what seems a going back is only a preparation for a new advance. The expressions, The Great Breath, The Germ in the Root, are applications of the Law of Analogy, as are also all the symbols used in theosophic literature. Spiritual truths are of such a nature that they cannot be expressed in our language, and they can be expressed more fully by symbols than by any written words. When persons have studied the Law of Correspondence, they are able to a greater or less extent to read the meaning of symbols, and also to understand the meaning of parables and mythical writings. The ignorance of the Western nations with regard to symbolic writings has led to the general misunderstanding which has prevailed with regard to the teachings of Jesus, which are now beginning to be interpreted in their true light. Now how are we to acquire the faculty of applying the Law of Correspondence, or, which is the same thing, of discerning the real meaning, which lies beneath the outward form of any object, saying or symbol? In Yoga Aphorisms (p. 34), it is said: “By rendering the operation of fixed attention, contemplation and meditation, natural and easy, an accurate discerning power is developed”; and W.Q. 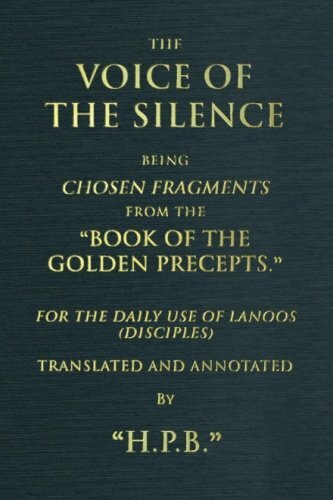 Judge adds: “This discerning power is a distinct faculty which this practice alone develops, and is not possessed by ordinary persons who have not pursued concentration.” Jasper Niemand says in Letters that have Helped Me (p. 51): “The mystic obtains knowledge about any object of which he thinks constantly in fixed contemplation.” The same truth is expressed by the writers of the Advaita School of Philosophy, who say that spiritual knowledge, a true perception of what is real and what is unreal, is gained by Shravana (hearing) and Manana (meditation). It is certain that the fac1tlty of discernment can be developed by those who will take the trouble. Like every other faculty it develops by practice. It is a question of letting the mind remain long enough fixed on one idea to reach the real knowledge which lies behind that idea. And the principle is the same whether you are pondering over some fact in your life, a theosophic symbol, or a sentence out of a book. Whatever the subject in hand may be, it is always by patient concentration that the hidden meaning may be found. The effort to seize the truth in time takes effect. In trying to grasp truths with our intuition, we are like infants who are learning to grasp surrounding objects with their hands. They make many efforts and fail. They do not know how to use their fingers, and they have not learned to measure the distance of objects. They cannot at first even touch an object close to them which they wish to examine. But by constantly trying, they learn first to touch a given object, then to grasp it firmly, then to examine it in detail. It never occurs to them to leave off trying because they cannot at first touch the objects they see. An infant idiot would do that, but not a normal baby. The ordinary baby is determined to develop its faculties, and persistently goes on doing so at every available opportunity. How is it that a man has less concentration of mind than an average healthy baby? The fact is clear that if we want to gain some knowledge of the Law of Correspondence on which the Esoteric Philosophy rests, it will have to be gained by patient effort. There are many directions which this effort may take. One plan it to take a short passage from some theosophic book—which is not understood—and ponder over it until the meaning becomes clear; or ponder over it for a certain time, and even if you see no light at the time, you will have set your sub-conscious mind to work, and on reading the passage later on you will find you understand it better. Writing down one’s train of thought is often a help to thinking out a subject; concentration of mind, and the art of applying the Law of Analogy can thus be practices at the same time. For example, an interesting paper might be written on the story in the Bible of the building of Solomon’s Temple, tracing out the analogies in detail. For the Temple represents the personality of man, in which he dwells when it is made ready for him, the God living in the earthly tabernacle, which has taken long years in building, the materials for which have been brought from many distant places, and which have been put together noiselessly until the whole is completed. Or one might take the description of post mortem states in Death—and After? and try what could be deduced from this description as to the destiny of man as a Race. For as a man when he has done with his body throws it off at death, so will the human race of this Manvantara throw off matter when it is no longer needed. The Science of Astrology is one vast application of the Law of Analogy. And when it is said that “our destiny is written in the stars,” it is meant that there are analogies to be traced out between the position and movements of the heavenly bodies on the one hand, and the events in the life of a single man or of the race on the other. Lead the life necessary for the acquisition of such knowledge, and wisdom will come w you naturally. Whenever you are able to attune your consciousness to any of the seven chords of Universal Consciousness, those chords that run along the sounding board of Kosmos, vibrating from one eternity to another; when you have studied thoroughly the music of the spheres—then only will you become quite free to share your knowledge with those with whom it is safe to do so. These seven planes of nature correspond to the seven states of consciousness in man. It remains with him to attune the three higher states in himself to the three higher planes in Kosmos. But before he can attempt to attune, he must awaken the three “seats” to life and activity. And how many are capable of bringing themselves to even a superficial comprehensoin of Atma-Vidya? The knowledge of these primacy causes and of the ultimate essence of every element, of its lives, their functions, properties and conditions of change—constitutes the basis of magic. But one cannot study these things at once, the only way it so begin with some single aspect of the subject, towards which one feels attracted, and work out the analogies connected with that. Some point must be taken to start from, and then passages in theosophic literature can be sought for which throw light on that special point. Occult Science deals with causes, but one cannot study all these causes at once. Each student must select his starting point for himself, and if there is any aspect of the question with which he is, in some degree, familiar, it is of course best to begin with that. It is said by Eliphas Lévi that the Smaragdine Tablet of Hermes contains the whole of magic in a single page, and one way of beginning is to study it, and try to discover some of its seven meanings. One of these meanings is partly given in The Secret Doctrine. Another way is to look out passages in theosophic books, particularly The Secret Doctrine and Isis Unveiled, which bear on the potency and meaning of sound; this will lead to a study of the meaning of vibration. To pronounce a word is to evoke a thought and make it present; the magnetic potency of the human speech is the commencement of every manifestation in the Occult World. The second and third objects of the Theosophical Society are both methods of applying the Law of Analogy. In the second method it is applied by comparing different religions, etc., one with another, and tracing out the fundamental truths which are common to them all. For in religions as well as in the material Universe we have always unity underlying diversity; it is only the outer form which differs, the inner meaning is always the same. Germs of essential truth are to be found in the ancient myths of every nation. This is naturally the case, because these myths are all products of the human mind, and the human mind of every nation has its origin in Cosmic Ideation, the Universal World Soul. The second object calls our attention particularly to the ancient myths of Eastern nations, but it is shown in Isis Unveiled and in The Secret Doctrine that there is the same hidden meaning to be found in all the ancient mythical writings—for example in those of Egypt, Greece and Scandinavia. The Grecian myth of Prometheus, who stole fire from Heaven, is an especially fruitful one for study, closely connected as it is with the problem of the origin of evil and the awakening to self-consciousness of the human race at the incarnation of the Manasaputras. This is the central mystery of human evolution. Prometheus represents the Sons of Wisdom who conferred upon mankind the power of rising to the divine state, which power necessitates the presence in the world of struggle, suffering and sin. The application of the Law of Analogy to these myths and allegories is thus a useful preparation for taking up the third object of the Society, for in pursuing that object it is absolutely necessary to have some knowledge of the Law of Correspondence. In order to “investigate unexplained laws of nature, and the psychic powers latent in man,” one must perceive how the nature of man is related by analogy to the nature of the Planetary Chain on which he evolves, and one must gain some facility in applying the Law of Analogy in matters of detail. A man cannot use his own powers or the hidden forces of Nature until he understands them, and he cannot learn to understand them without constantly applying the Law of Correspondence. For it is this Law which underlies the whole evolutionary process, and which is to be found in every department of Nature and of Life. In fact it may be said that Nature and Life are Analogy and nothing else, for Analogy is the central truth on which they rest; we have only to open our eyes and see. The law which rules the atoms of our world as well as the highest spiritual beings in it—that law inherent in the Center of each being—proceeds in a definite, orderly mode. This progress is known to be divided into seven degrees, or the septenary nature, from the states of fine matter down to the matter that we now know in the body. All beings go through forms in the various states, and not only do they go through them but they possess them at the present time. Man possesses every body which ever has existed for him in any stage of matter. But our planet is one of many planets. It exists in a solar system which is one of many solar systems. There are inhabitants of other planets— some of them below us in point of development and others so much higher than we that if we knew the state of their progress we would esteem them divine beings. All beings of each and every planet are of the same Center and proceed under the same universal law of manifestation. Thus, there is a correspondence between each and every planet: we are related to Mars, to Mercury, Venus, Jupiter, Saturn and the Moon by certain correspondences in fact, there are organs in our bodies which correspond to the various planets. At the root of all these correspondences with planets, beings and states of matter, and behind all these points of attachment with every thing—the most minute as well as the coarsest—lies a tremendous, almost immeasurable SCIENCE related to all portions of the universe, to every state of matter and every plane of consciousness—a science which by our self-induced and self- devised efforts it is possible for us to attain it ourselves. For knowledge does not exist outside of us, nor does knowledge exist without the knowers of it. Always the knowers of the greater knowledge have achieved it through observation and experience. Those Beings who are greater than we are and who have handed down to us Theosophy—the science of life and the art of living—in the far distant past had to go through similar experiences to those we are now encountering. So again we see there is a correspondence in ourselves with those higher Beings, and, as well, with lower beings. We have to manifest as various classes of beings, some on higher planes and some on lower planes. The forms of the kingdoms below us are embodiments of minor grades of consciousness on their way up to our estate, which they will reach when we have progressed to still higher states, under the law of evolution. For evolution of form is always brought about by the extension of the Consciousness of the being in habiting the form, and our own purpose, as spiritual beings connected with all states of matter, is to evolve a better and better instrument on this plane of being to correspond to, or be accessible to, those inner states of being and higher planes of consciousness which we all in reality possess. It may seem strange to us that we possess what we know nothing of, and that there are powers latent in us which in our present case we are unable to manifest. But we ought to see that we have the power to learn. We have the power to learn sciences of various kinds, or languages entirely different from those we now know. The power to learn is within us. We could not learn these things if they were new—that is, due to some formation of nature separate from ourselves. There is a power that we may gain over all nature, and ‘use, for in fact nothing is of use by way of knowledge that can not be practical for the true evolution of man, for the forwarding of humanity. There is a certain knowledge in the possession of some which relates to the occult sciences, to powers which we do not presently possess but which are latent in us—the reason for either latency or possession lying in the fact that this life is the reaping of what has gone on be fore. As day succeeds day and life succeeds life, as planet succeeds planet and solar system succeeds solar system, so we have come down through the immeasurable past to the present conditions—to conditions, let it be remembered, where spirit and matter conjoin, where man may become higher than any being in our solar system because he is conjoined with the lower kingdoms; because he may so increase his knowledge in connection with those lower kingdoms that lie may raise them up and use the powers that exist there and are produced by beings of every grade. Let us remember, too, that even on this physical plane there are beings other than those we ordinarily see in mineral, vegetable, animal and human embodiments; there are invisible beings existing in what we call our air, in the ether, in electricity, in fire—for it is life everywhere in this universe; there is not a hand’s breadth of vacant ‘ space anywhere. However minute, visible or invisible, the forms of life may be, they are Centers of Consciousness, beginnings of perception, the beginnings of individuality—ever increasing from form to form until the human form is reached, and then, on and on. For we as human beings are not the product of this earth. Our bodies are; but as spiritual beings we were present before this earth was formed. Once more we have come down through the stairway of the seven worlds from that primal state which is the very Center of being, plus all that we had gained before in other worlds. ‘We bring with us all that we have gained in similar states and planes of substance before, and go on with the world in each stage, just as we go on from day to day with our various occupations. Thus we may see that there is a continuity throughout the entire course of evolution; what we have to learn is that knowledge of it along the line of true correspondences will never be acquired by mere study, nor by information given us by any being or beings whatever. True knowledge has to be gained through an increasing perception of the universality of all law and the universal line of progress for every being of whatever grade. We have to think and practise altruism before the higher and more recondite powers of the universe can be placed in our possession for our use. The thought and the motive must be that which makes for the good of all beings. What has been given to us in the philosophy of Theosophy is for the purpose of arousing the attention of that Center within us which can see, which can know and which can do, when it resumes its own nature and status. For there is a deep knowledge of all these things in the soul of every human being and the soul knows what it needs; it can understand when the brain can not understand; it can feel when the senses are not capable of transmitting feeling. This knowledge is open to every human being; but only when the mind that we now possess is in exact accord with the nature of the indwelling Spirit, shall we begin to see, from within outwards, all the lines of correspondence and relation that exist between us and all other beings. Only when we realize that we are a part of the Great Chain of being, that no one of us is unnecessary and no one can drop out, that the development is one for all, that we are all from the same Source and going towards the same goal; only when we shall think and act from that basis, will we move onward with the great force proceeding from the Center in that true direction which leads to enlightenment and power. The law of correspondences constitutes a science which is perhaps beyond the idea of any one of us. Can we realize that — all beings are forces and all forces proceed from beings? Can we realize that there are forces or beings in nature which can be moved without the lifting of a finger—just by the thought, just by the will of one who knows the law of correspondences? Fortunate, indeed, it is that men as they are now constituted, with the wrong ideas that rule their actions, do not possess these powers which they could use against their fellow men! For is it not true that if we had them we would use them to blot out of existence many human beings who are running counter to our own ideas? And those beings are, just like ourselves, controlled by ideas foreign to the true progress of the whole and must meet the exact results of their wrong course of thought. Even without knowing it, perhaps, we may fight the battle of humanity merely by taking one idea of Theosophy—one universal idea— towards the freedom of the soul, and holding to that help. But we have to go much farther than that, which is but one step on the way. We have to realize within ourselves the kind of bodies, inner and outer, which we possess and the powers that belong to those bodies. We must bring those higher powers into operation through this physical body. We must build a higher and greater civilization than ever yet has existed. Whether it is accomplished in this or in ten million lives, whether we go straight to the goal or through suffering after suffering, it must ultimately be brought about. We are here for a great purpose. A great mission lies before every one of us, as well as a great knowledge. We are here as knowing, self-conscious beings, buried in, and identified with this body, with this matter. Involved in the very work we had to do on this plane of being, we have forgotten our own true natures. It behooves us to understand what our true nature is and to think and act in accordance with it. Let us remember, too, that “the true nature” is not far away; it is right within us— within our hearts. In the silence of our own hearts there pulsates that One Life, which beats in correspondence in the action of the lungs, the action of the tides, the flux and reflux which is going on all the time and everywhere in nature. Can we not see that the laws of correspondences are the same now that they were millions of years ago? Nor has humanity changed. We have changed the conditions surrounding us, but we ourselves are experiencing the same desires, the same feelings, the same stupidities which were ours millions of years ago. We have not advanced spiritually beyond the civilizations that are dead and gone, but in what we call “advancement” we have made merely another closer bond to physical existence. So there is much for us to do. If, as has been claimed, the three fundamental propositions constitute a key to the study of the Secret Doctrine, the student should endeavor to apply these not merely to the philosophy as a whole, but to each and every department and special topic and to the linking of these together. Only by so doing can the true relations between the latter be found, and the place and importance of each in respect to the whole. It must therefore be borne in mind that these propositions apply to the whole manifested Cosmos, to Universes, worlds, and men, to all planes of the Cosmos as well as to all kingdoms of Nature; that back of all manifestation is the One Reality, one common Source; that guiding all manifestation is one Universal Law; and that the working of this one Law and the line of evolution are fundamentally the same in all cases. A study of the great systems of ancient philosophy would show that underlying each are these same propositions, or some phases of them which, although differently expressed, embody the same fundamental ideas. In some instances these have been put into the form of aphorisms, which to a great extent are the keynotes of the systems in which they are so expressed. Such, for instance, are the following: “As above, so below”, from the Hermetic school of philosophy; “Man is the Microcosm of the Macrocosm”, from the ancient Hindu philosophy; both of these aphorisms are expressions of what is known as the “Law of Correspondences” which was used by all the great Hindu philosophers and to a greater or less degree by more modern writers, e.g., some of the early Church Fathers, and by Boehme, Swedenborg, and others. It will easily be seen that these aphorisms are dependent upon the fundamental propositions of the Secret Doctrine, and in a measure contain or imply the latter. Then there is the Cabalistic saying, “A stone becomes a plant; a plant, a beast; a beast, a man; and man, a god”. This particular statement is, however, only a partial statement of the third proposition; it is only a partial statement of evolution. It goes further than the modern scientific statement of evolution in that it does not stop at man, but it makes no statement of the stages of evolution preceding the mineral; it only begins at the lowest point of the cycle of evolution, omitting the elemental kingdoms on the downward arc. The above statements and many others are constantly referred to in the Secret Doctrine, and by presenting these fundamentals in different aspects the student who learns to connect them together is better enabled to comprehend the methods and working of Nature and also that to us most vital problem — man’s place in Nature. Furthermore, these various statements furnish an additional argument for the Wisdom Religion’s being the fountain of Truth from which all streams of Truth have sprung. If man indeed be the Microcosm of the Macrocosm, a copy in miniature of the Universe, we can well understand the value of the injunction given by the Delphi Oracle, “Know Thyself!”, and the student of the Secret Doctrine cannot fail to notice the frequent application therein of knowledge about man to the elucidation of the mysteries of the Cosmos. In the same way knowledge of Nature as a whole gives us a knowledge of Nature’s miniature, man. The study of man and the study of Nature must be pursued together, hand in hand; if we would understand one we must understand both, each one in relation to the other. Not only is man the Microcosm of the Macrocosm, but each molecule, each atom, as well as each world and each system of worlds, mirrors the whole Universe; and each individual monad, each spark of the Universal Over-Soul, whether informing a world, a man, or an atom, is a mirror of the Universal Over-Soul. This fundamental law in Occult Science is the basis of the “Law of Correspondences”, which in so many cases has been hit upon by Mystics and used by them intuitionally and, very often it would seem, fancifully. And being acquired merely intuitionally, and no basis or foundation being given, this law has come to be regarded by many as a mere empiricism. All through the Secret Doctrine this law is held to, and it is illustrated to such an extent that it rests with the student himself to test whether it be a law or not. Let the student hold to the doctrine of analogy and correspondences. The Law of Correspondences does not merely hold on one and the same plane, as, for instance, in the case of man and Nature, the physical external man corresponds to physical external Nature, the astral man to the astral side of Nature, etc., but there is also a correspondence between different planes, and action and reaction from plane to plane. Manifestation takes place on four planes, which are phenomenal and rupic (rupa=form), while above these are three arupa or formless planes, where form ceases to exist and which cannot become objective to us. The three higher planes are noumenal and subjective, the four lower are phenomenal, and are, or may be, objective to us. The seven planes represent the seven states of Cosmic consciousness, the three higher planes being inaccessible to human intellect as developed at present”. “These seven planes correspond to the seven states of consciousness in man.”4 All ultimate causes originate on the higher planes, and pass from plane to plane to the lowest which is the plane of ultimate effects, whence there may again be reaction on the higher planes. That which may appear as an effect on any plane, due to a cause on a higher plane, may itself act as a cause in reference to a still lower plane. In this way there is correspondence from plane to plane, and in this way all manifestation proceeds, from plane to plane; from within, without. And although very few who can see into the astral and psychic planes of Nature can connect these with the physical plane, or rise to the purely spiritual, yet no links are missing between them, and it is only by a comprehension of the Law of Correspondences that it is possible to connect them together. The varied aspects of Nature, the many phases of development which we see in all the kingdoms of Nature and which exist on all the phenomenal planes; the hierarchies of beings — gods, men, elementals — which represent the stages of the development of the soul, are all links in the endless chain of manifestation. Destroy one link and the chain would be destroyed; but granting continuity, granting the law of cause and effect — Karma, it follows that the Law of Correspondences must also hold good, and we shall be wise if we follow the advice of the Master and hold to it as a guide in our studies. 1. Secret Doctrine, I, 187 (new edition, I, 210). 2. Secret Doctrine, I, 177 (new edition, I, 200). 3. Secret Doctrine, I, 120 (new edition, I. 145). 4. Secret Doctrine, I, pp. 199-200 (new edition, p. 2:1). The following article is an example of one student’s use of the Law of Correspondence and Analogy. Through its application we are enabled to discover the nature of “self” by studying its mirror — the universe. RAINBOWS AS MESSENGERSCERTAINLY, most of us have wondered about rainbows and thrilled to their beauty. Why do they appear and so suddenly disappear? What message are they trying to give us and why do they excite our imagination? Why the seven colors? A lustrous rainbow against a backdrop of steel blue storm clouds is breathtaking, but when enhanced by knowledge, it comes to signify much more; the grand rhythms, the countless variations and the minute complexities of the global web of relationships among water, light and air that enclose and support the earth and all life on it. A rainbow, then, is a messenger of unity and at the same time expresses the diversity, which we may come to understand within that unity. The Law of Correspondence and Analogy will certainly help us as we ponder the significance. In 1304, a German Dominican monk named Theodoric understood that both reflection and refraction of light are needed to create a rainbow. In addition, he spoke of a secondary rainbow that occasionally appears above the main one and that this secondary reflection causes the color sequence to reverse just as a mirror reverses an image. Could this be an echo of the Theosophical teaching regarding the astral light? In the 1600s René Descartes set out to discover why rainbows were visible only at an angle of 42 degrees from the path of sunlight. He determined mathematically that when two refractions and one reflection are involved, the 42-degree angle was the path along which the least scattering, or maximum focus of the light occurred. In 1660, Sir Issac Newton discovered the reason for the color spectrum of a rainbow while experimenting with glass prisms. Newton demonstrated that each color in the spectrum has its own optimal angle of refraction. When sunlight passes through a raindrop, refraction does not weaken the light but simply sorts it out by wavelengths, sending each color along a different path. To underscore this, Newton went on to perform a historic experiment. He used a second prism to recapture the divided colors and merge them back into white light — thus proving that white light is a composite of all the colors of the rainbow. Theosophy explains that the “white” light is all the colors, yet the colors in themselves are not the white light unless they unite or merge back into it.